hurricane-related searches. When you consider that this is the height of hurricane season, which is from June 1st to November 30th, it is safe to assume that people want to know how they can prepare for the worst. 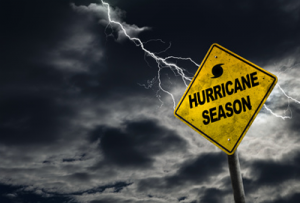 There are several things you can do to prepare yourself and your loved ones for the upcoming storm, or hurricane seasons to come. Below is a list of tips and resources that can help you face the storm. Keep a list of emergency contacts, such as local authorities, your utility company, and local hospitals. Sign up for your community warning service, and learn the evacuation route for your area – if you are advised to evacuate, leave immediately. Make sure you have a plan for your pets. Keep important documents somewhere safe, or make a digital copy of everything. Have a plan in case you and your family become separated. Talk to your insurance agent about flood insurance, as most policies do not cover flood losses. If you have to evacuate, do not return home until authorities say it is safe to do so. Prepare your boat and be aware of marine safety if you are on or near water. Be alert for tornadoes and the eye of the storm. Never walk or drive on flooded roads. As little as 12 inches of water can float smaller SUVs and only 18 inches can float full-size The depth of the flood water may not be clear, and moving water has a lot of power. Proper planning and preparations can make a huge difference in the outcome of a hurricane when it comes to safety and rebounding after the storm clears. Unfortunately, no amount of planning can stop the storm from coming and after it is over, you may have a lot of damage to deal with. Our Flood Flyer, below, can help with the aftermath. If you’re not directly affected, a donation to the Red Cross can help those who have been.